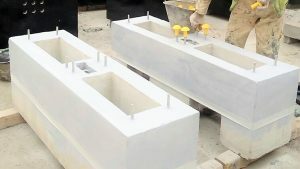 The FDT Concrete Bases are being used as the mounting foundation for installation of FDT cabinets for outside plant work. The FDT Concrete Bases with access facilities for conduit interfacing or duct entry are installed next to manholes or hand-holes in secondary distribution network. We supply Cabinet bases in compliance with the required specifications. 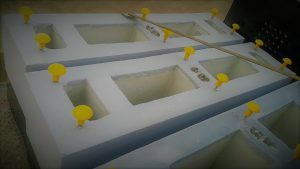 These cabinet bases can withstand without detriment to the function and maintenance characteristics of the product such as corrosion. The FDT Concrete Bases are designed and manufactured so that the exposure to the harsh environmental conditions of Saudi Arabia and the expected environmental conditions during storage, transportation, installation and operation shall not degrade the physical characteristics of the structures.